Looking for unique gift ideas for the dapper man in your life? In an attempt to make gift-giving a bit easier this year, here's our Dapper Gift Guide full of grooming presents and more. Whether it's a friend, colleague, boyfriend, brother, dad, husband or family member, find a perfect gift that matches his personality and interests. Tech used to have the reputation of being the opposite of dapper. However a new generation of products prove that style and technology go hand-in-hand. Tech used to have the reputation of being the opposite of dapper. However a new generation of products prove that style and tech go hand-in-hand. For men serious about their skincare and ready for technological aid, Foreo's LUNA 2 for MEN not only exfoliates and unclogs pores, it also makes shaving closer and more comfortable. His glowing skin with thank you. Men's skincare line Mavericks was developed by MIT engineer & former hedge fund manager Brad Yim for his own use after years of long hours left him with early wrinkles. After getting requests from his colleagues, he developed Mavericks with only peer reviewed ingredients and made sure the bottles were carry on travel compliant. Escentric Molecules celebrates the chemistry behind fragrances, especially newly developed lab scents. The colognes are created in binary pairs — exploring the same aroma-molecule in two different ways. The Escentric part focuses on a specific aroma-molecule with additional ingredients chosen to enhance the scent. Meanwhile, the Molecule component contains no other scents and sticks exclusively to the aroma-molecule. Try to think of another shower head where Apple's Tim Cook is an investor. The Nebia Spa Shower provides an immersive sensation with 10x more spray coverage on your body — leaving your skin clean and refreshed. It uses technology to create premium, spa-like shower experience while saving water. REKS uses NASA-level polarized technology to create their unbreakable sunglasses that also eliminate glare and offer 100% UV 400 protection. Plus they're affordable and look cool like these Reks Polarized Unbreakable Wrap Around Sunglasses. Gifts for the young and young-at-heart who appreciate an unpretentious, casual style that matches his active lifestyle. Cremo is one of the fastest growing skin care companies in the U.S. and believes everyone deserves high performance skincare at an affordable price point. Cremo Cream Face Wash and Cremo Cream Face Moisturizer is a perfect gift-set for the guy who wants a simple, effective skincare routine. Good price too. If you're an active guy who likes to be outside in winter, it's impossible to have too much lip balm. Jack Black's Lip Balm Set can help him keep his lips hydrated and avoid scaling or painful cracking. I get asked a lot what the best cologne is for a young man new to fragrances. If there's one cologne that's perfect for nearly every situation — it's L'eau D'Issey Pour Homme. It's a light crowd pleaser that you can wear it to work, casual or even out in the evening. Plus it's great value — great gift for the man who is curious about colognes but not sure where to start. Rastaclat is a hip young accessories brand looking to share stylish and positive vibes. If you have a young guy on your list and aren't sure what to get him, try this accessory. Developed by pro skateboarder Daniel Kasidi who would tie his old shoe laces around his wrist. If regular jeans are too restrictive and uncomfortable, give him Duer Performance Denim Jeans. Advanced jeans that are cooling, have great fits and gussets and are made for those who like riding around town and then walking into bars or just being comfortable, active and looking good all at the same time. Great for guys who love their sweats but want to be more stylish. 2(X)ist Men's Nylon Messenger Bag is an on-the-go bag with a large front flap for security, cross body strap for hands-free mobility, and multiple pockets for easy organization. Perfect for fitting a laptop, notebook and books, whether for studying or casual work place. I'd recommend it for men who want a step up from a backpack but aren't ready to go full-corporate. 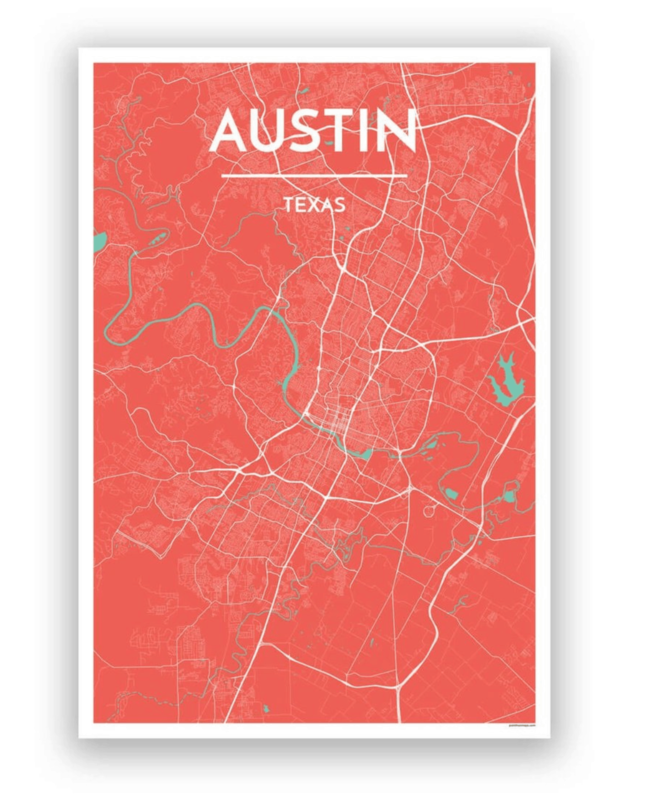 Gift ideas for jet-setters, frequent fliers and those who wish they were. Great gift ideas to make travelling more pleasant and to help them remember where they've been. Let him enjoy a Truman's Gentlemen Groomers Shave Regimen straight out of NYC no matter where he is. This luxury shaving kit comes with comes with three award-winning products including a facial scrub (a frequently skipped but very important step in the shaving process), shave cream, and aftershave — all made in the USA of high-quality ingredients. This Baxter of California deluxe kit includes travel sizes of our face wash, moisturizer, shave formula, after shave, and shampoo. It also features a pocket comb, travel shave brush, and lip balm. If he's like most men, just having all these together in one place where he doesn't have to spend his Saturday filling a bunch of travel sized bottles will make him happy. The fact they are high-quality Baxter products makes it even better. This English Laundry Men's Collection 4 Piece Coffret Set is perfect for the guy who wants to travel without compromising his style. This isn't a set where all the fragrances with tiny bottles that all smell the same. The unique fragrances range from the sophistication of Riviera (nutmeg, black pepper, oak moss) to the more spicy Arrogant (bergamot, coriander, amber), from the clean of Notting Hill (lemon, peppercorn, cedarwood) to the crowd-pleasing Oxford Bleu (geranium, sandalwood, vanilla). Perfect for a guy who travels for business. 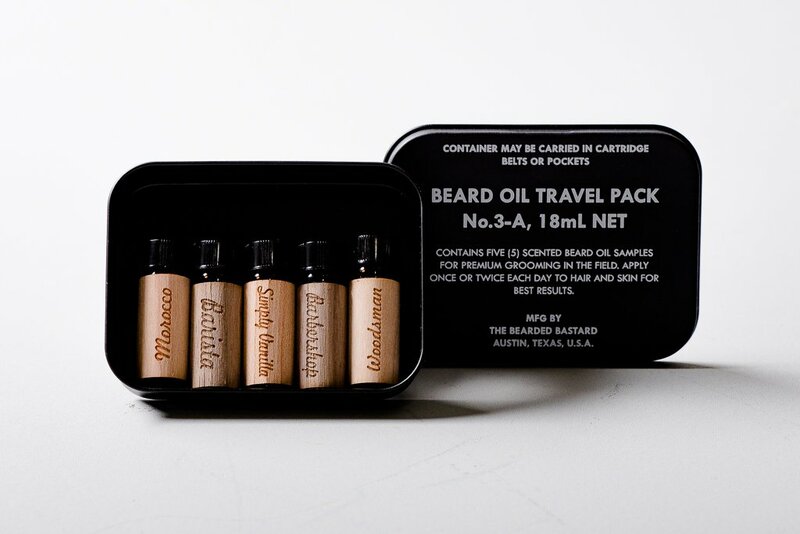 ManReady's Beard Oil Travel Pack is the perfect rugged travel companion for keeping his beard looking healthy and smelling good as his travels. This pocket-size grooming kit comes in a upcycled tin box and contains samples of five of their distinct oils. The Carry On Cocktail Kit is a novelty gift that actually will be used and appreciated. Nice design for gifting and comes in 5 flavors: Old Fashioned, Moscow Mule, Gin & Tonic, Champagne Cocktail, Bloody Mary. Nice stocking stuff for the frequent traveller or man off to a special getaway. 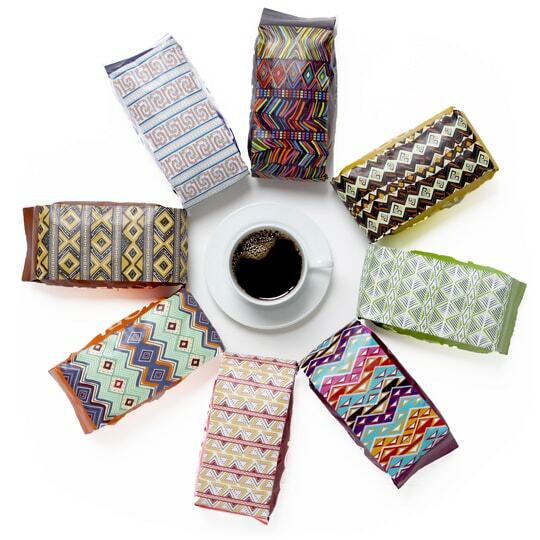 Atlas Coffee Club has the perfect gift idea for any travel-loving coffee & travel enthusiast. He will receive a 12 oz bag of exotic gourmet coffee from a different part of the world every month — 3, 6 and 12 month subscriptions available. For the daring, or Scottish, get him this starter set from Kilt Society for those looking to build their first kilt outfit. Versatile enough to work with his existing wardrobe, novel enough to be a gift he won't soon forget. Ships direct from Scotland. Whether he's a great cook or just appreciates good food, these are perfect gifts for the foodie man in your life. Perfect cologne for the foodie in your life. AMen Pure Malt was created in honor of traditional Scottish whiskey with the same smoky, woody-spicy scents. The result is a well-loved fragrance which is elegant and sophisticated. Great cologne for the fall and winter. Shodai is a new skincare line out of Japan with products made with a unique ingredient mix that includes Sake (yep, you read that right! ), along with Green Tea, Onsen Water and Hiba Oil. Perfect for the foodie guy who wants to up his skincare game. Give him a nice bourbon after work, in soap form. The Big American Bourbon Soap has a unique, oak barrel scent that is masculine and outstanding, but not overpowering while small bits of ground corn in the soap help exfoliate dead skin. 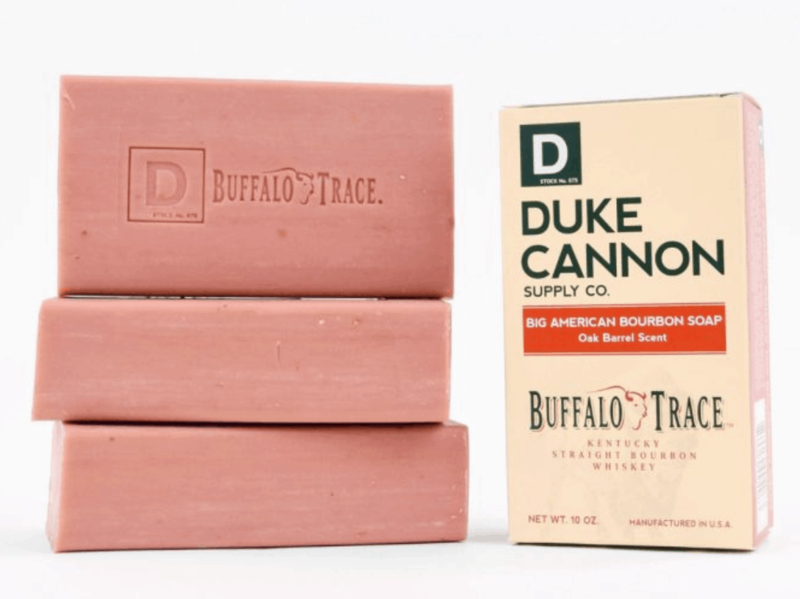 And yes, the soap really does contain Buffalo Trace Bourbon. Why stick with boring minty toothpaste when there's a world of flavor out there to experience? Get him the limited edition ​Wonders of the World Toothpaste collection from Italian toothpaste maker Marvis. This set contains three flavors in travel sizes: Karakul, inspired by a journey across the Mid and Far East; Royal, an elegant flavor inspired by a trip on the Orient Express; and Rumbas, a fun, vibrant trip to the tropics. As part of their unique ‘Reclaimed Series,’ Original Grain created watches using repurposed wood from American Oak Bourbon Barrels. These timepieces are the perfect gift for the whiskey-lover in your life. 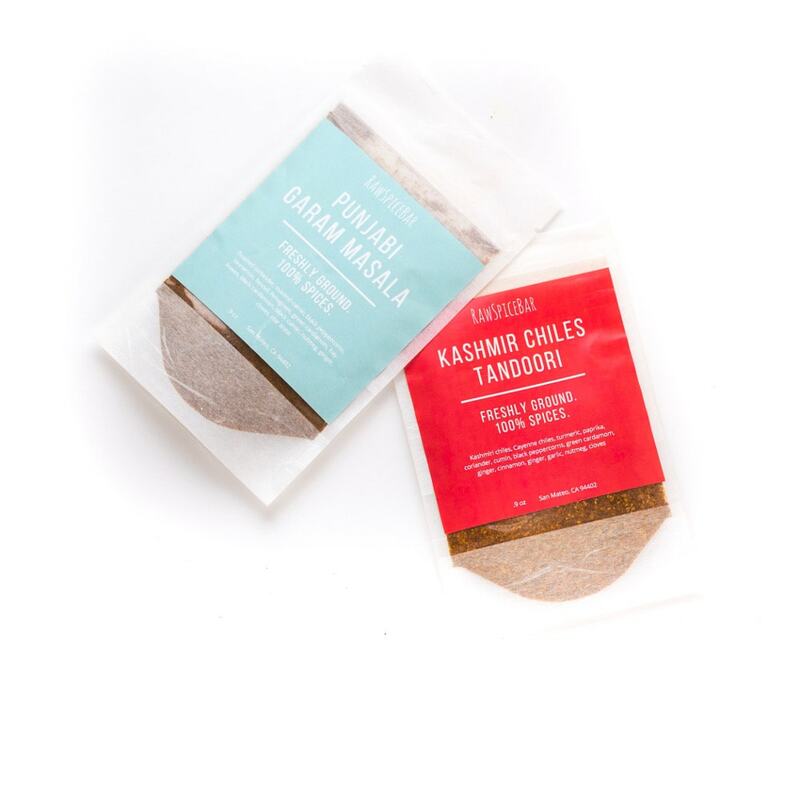 RawSpiceBar has a quarterly spice subscription with 6 full-sized, freshly ground, seasonal spices & blends, shipped quarterly. For fall think: pumpkin spice lattes, easy Indian curries, tandoori rubbed stir-fries and more. Cameron Hughes Wine take the guesswork out of finding affordable fine wine by bottling exquisite wines from around the world into secret Lots for a fraction of the price (think $100+ bottles of wine for less than $30). It's smart savings that's sure to impress. Cultural gems for the guy who knows every historical reference in films, quotes Shakespeare in conversation and never needs a guide at the museum. Perfect for the man who enjoys turning back the hands of time to a more elegant, less hurried time. 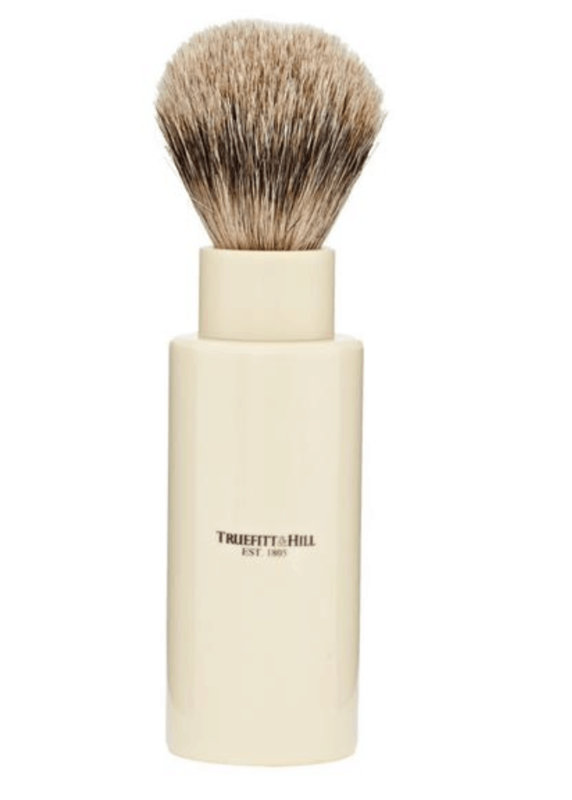 Truefitt & Hill's Turnback Traveler Badger Hair Brush is hand-made in the UK with the finest quality super badger hair. This shaving brush comes with protective travel tube and brush-care instructions. Step back in time with a 18.21 Man Made Grooming gift set including Man Made Wash (for both hair and body), Styling Paste and Hairspray all made just for men. The custom blended sweet tobacco scent and vintage stylized packaging will transport him to a Prohibition Era jazz lounge. For a old-school barbershop treat, give them Proraso Vintage Gino Tin Refreshing and Toning Formula. In its lively vintage packaging, these best-selling products aims to make shaving an enjoyable experience. Includes: Pre-Shave Cream, Shaving Cream in a Tube and After Shave Balm. Suitable for all skin and beard-types. If you’re looking for a five-star gift, look no further than this Presidential Soap Collection from Caswell-Massey. It includes three bath soaps, triple-milled for lasting performance and fragrance: Number Six — Washington's favorite, Almond Cold Cream — selected by Eisenhower, and of course Jockey Club —the choice of JFK. Great soap and a unique way to experience history. Replica "Jazz Club" from niche perfumer Maison Martin Margiela promises the wearer a journey to a night out at a Brooklyn speak-easy complete with heady cocktails and cigars. Very sensual, musky yet sweet. Perfect for a dapper evening out. When it comes to fine men's watches, Longines are in a class unto themselves. 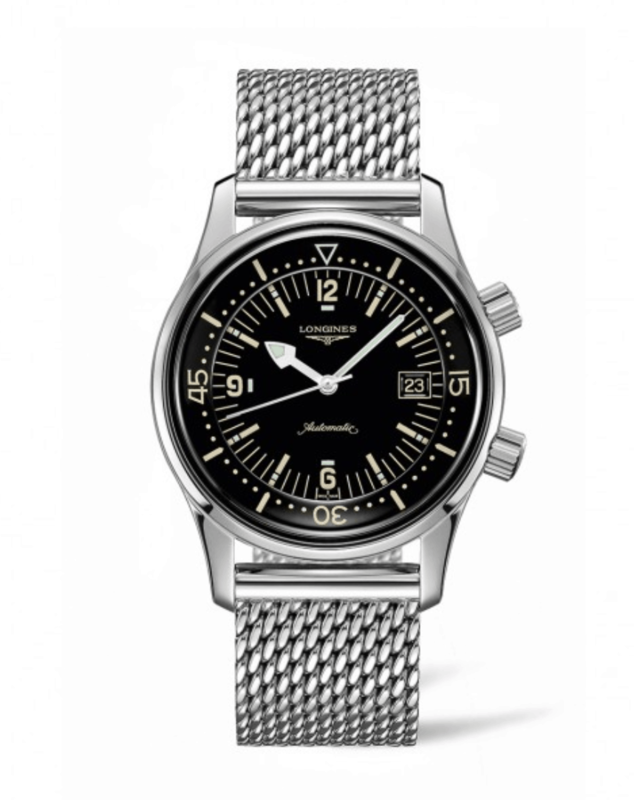 Any man who appreciates the classics will enjoy Longines Legend Diver from their Heritage Collection. It's a 1960s era historical reissued dive watch that dresses up or down effortlessly and has a timeless look. Water resistant up to 1000 feet (300 meters). If you’re looking for something that’s absolutely unique, there is nothing else quite like the Mini Museum. It’s like putting billions of years of history right in the palm of his hand. Perfect for the guy who is impossible to shop for. Includes 160-Page Book, Certificate of Authenticity and 12 Specimens from things like Jurassic Trees, Space Station, Steve Job's turtleneck and more. Doing fathering right is tough. He's trying to squeeze just a little more into each minute and make each fleeting moment last. Time is at a premium for dads and he has to make every minute count. MODRN MAN Anti Aging 2 Step System is a new, simplified skincare regime for men who have no time to waste. Step 1 = Combination Face Wash & Shave Cream. Step 2 = Combination Moisturizer & SPF 30. He can be done with his complete skincare routine in under 3 minutes. New dads will tell you — he'll be washing his hands more than he ever thought humanly possible. In the winter, this can be especially drying to his hands. This Happy Hands Duo from AHAVA uses Dead Sea muds to sooth and moisturize his skin. Comes in a decorative holiday gift box. Maybe it's the years of advertisements featuring grainy but gorgeous pictures of happy families, but nothing says cool, relaxed dad quite like Eternity by Calvin Klein. Give him the newest flanker in the line Eternity Aqua for Men. It's a calming, masculine scent that can go casual to work without missing a beat. Becoming a dad means his cool tech toys are no longer his alone. Give the dad in your life a Lenovo Tab 4 tablet that morphs to fit every member of the house. incorporates the latest technology like fingerprint sensors, FHD screen and Dolby Atmos® sound with kid-friendly features like dual side protective glass and separate, protected kids accounts. And at a family-friendly price point. Sleep is a precious commodity for most dads. Help him get a better night's sleep with a Sound+Sleep High Fidelity Sleep Sound Machine. This is much more than a white-noise maker. Utilizing ASTI’s patented Adaptive Sound technology, the machine constantly analyses background sounds for disruptive ambient noise. It tend adjusts the volume and sound profile to best mask them. Whether it's for him, the baby or the whole family, a great gift for tired dads. 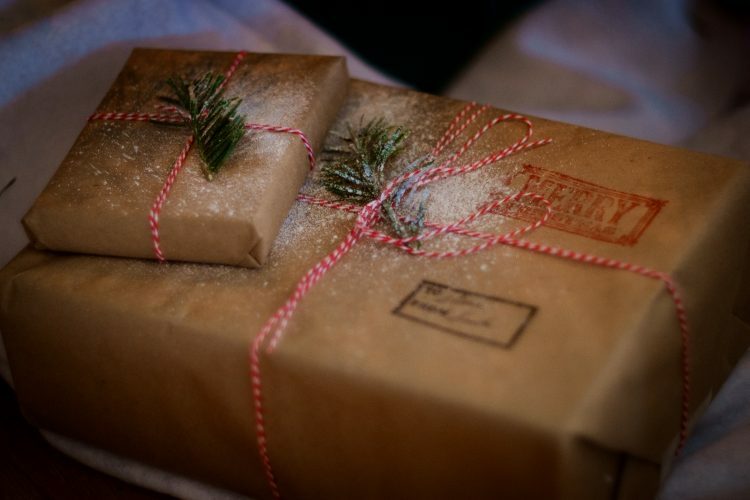 From supporting life-enhancing good causes to demanding more environmentally friendly production methods, these are gifts for the guy who cares. He doesn't have time to spend the day at the spa, but with a few squirts on the shower floor, Travertine Spa Steam Shower Spray will make him feel like he's gotten away. Eucalyptus naturally opens the nose and clears the sinuses, giving him the spa experience at home. Skindew is a new luxury, natural skincare line for men. They use a combination of aromatherapy and nutrients like vitamins A-E, Omega 3 and antioxidants to heal and sooth the skin. Plus it's a spray on which is easy to apply and won't leave him feeling greasy. They sold out at the Indie Beauty Expo so get it while you can! Rocky Mountain Oils provides high quality essential oils without the MLM consulting scheme. Blend Essential Kit a great set of blended oils for Immune Strength (germ killer), First Aid (healing and antiseptic properties), Purifying (for cleaning and repelling insects), and Citrus Blend (for energy). Perfect for dapper hippie skincare. Created in 1899 to soothe cow udders from Vermont's harsh winters, Bag Balm is still made with just 4 simple ingredients. Early on, dairy farmers discovered that this simple product was not only effective for their animals, but worked wonders on their own skin too. Nectar Sunglasses is an accessory line (based in Charleston, SC, created by two surfer guys) that is saving the world one bee at a time with a portion of all sales going to The Bee Cause. Nectar is a durable, affordable line geared towards those who want to live "the sweet life." 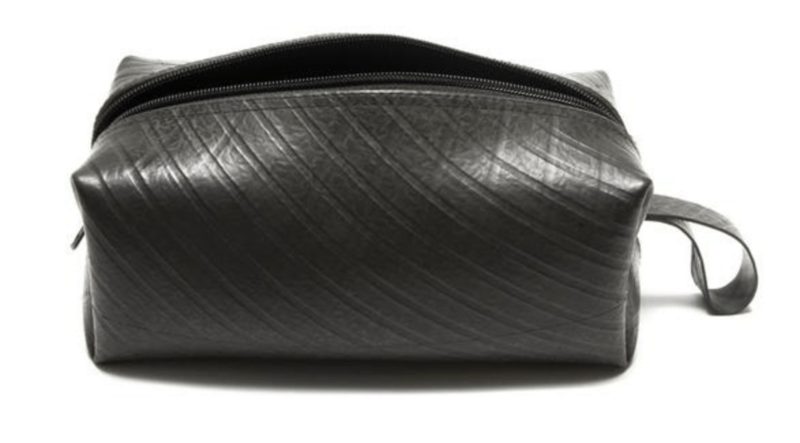 This Men's Recycled Tire Travel kit from Global Goods Partners has room enough for all your travel essentials and is conveniently water-resistant. Sewn from tires in Cambodia as part of their training and outreach program, this modern travel kit will wear well and last for years. The best part is, everything purchased goes to support their cause of lifting women out of poverty. From office to trail, Hydro Flask keeps cold drinks cold for up to 24 hours, and hot drinks hot for up to 6 hours. Help him stay cool and hydrated all day long, no matter where his adventures take you. Made of non-toxic BPA-free plastics & 18/8 stainless steel food-grade stainless steel. Hope this helps your holiday shopping for the special men in your life! We love featuring useful products that are elegantly designed and a joy to whomever is so lucky as to receive it as a gift. Do you have a suggestion on a favorite product I should add? Let me know!